The weather wasn’t the best for the weekend of teh steam fair at the Boat but it didn’t deter the public from attending. There was the usual trains running from Aviemore to Broomhill passing at the Boat which brought steady waves of public. Saturday saw for the first time a parade through the street of Boat of Garten for the engine sonly with Sunday being the usual full parade with the pipe band and the tractors at Broomhill. 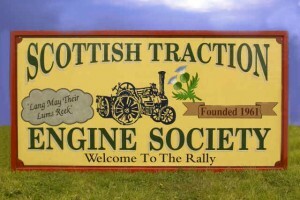 This was another good weekend for both engine owners and the Strathspey railway lads. THey wish to thank everyone who attended and look forward to next years event.